The word `Sikh' is derived from the Sanskrit `Shishya' which means a disciple. This religion began with Guru Nanak who was touched by the events in Punjab. People suffered from Hindu - Moslem animosity. He saw unity in all religions. Instead of having formal education, he studied books of Hindu and Moslem religions and had long discourses with holy men. He was born in the Bhakti (Devotional) Period of Hinduism when there were a number of self enlightened people born and who preached devotion as a way of attaining Godhood. Before his time, even in Hinduism, there were further additions or modifications to the Advait philosophy i.e., the concepts of Atma (individual self), Parmatma (God), were introduced ( Dualism ). According to this concept, an Atma could merge with Parmatma if an individual lead a very pious or religious life and this was called the salvation or the ultimate destiny of the individualized soul. 7. Guru Har Rai (a) Son of Baba Gurditta, the eldest of the five sons of Guru Hargobind. 10. Guru Gobind Singh (a) Son of Guru Teg Bahadur (b) He, all his sons, and his parents sacrificed their lives to achieve truth and justice. 1. Not to cut any hair on the body. 2. Not to eat meat slaughtered in a way where an animal is bled to death but to eat meat if the animal is killed in one blow. 3. Not to smoke or eat tobacco or consume alcoholic beverage. 4. Refrain from carnal knowledge of Muslim women. The Sikhs believe that there is only one God and that he is not a substantial something but the abstract principle of truth. They also believe that humans can reach him by observing his commandments and righteous living. It accepts the Hindu Theory of Karma and the Transmigration of Soul from one form of life to another until its ultimate merger with God. The holy scripture is the Granth Saheb is also called the Adi Granth, whereas the tenth Guru's other works are compiled under the Dasam Granth. The Granth Saheb contains over 6000 verses and the language used is Punjabi spoken in 15th and 16th centuries. Sikhism is against asceticism, and does not recommend householders to go to the forest in their third stage of life. It believes that they should remain a householder which is quite similar to a karma yogi mentioned in the Gita where an example of King Janaka was given. 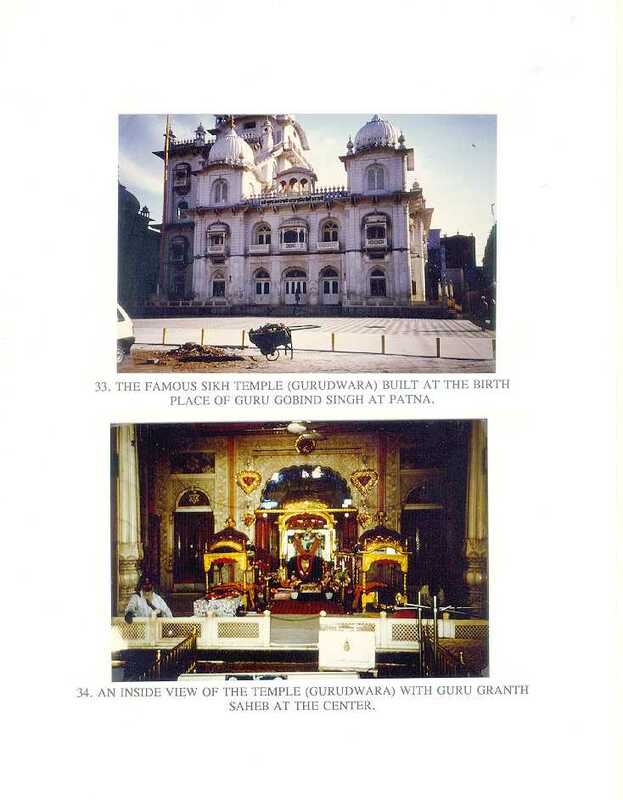 In fact, if we examine the conditions prevailing in those days of Guru Gobind Singh as shown in the paintings at the temple constructed at Patna (Pataliputra), his birth place, it does remind one of the Mahabharata period. The Sikhs and the Hindus were suffering from injustice and like Arjuna, it was their Dharma (Duty) to take up arms to seek justice. There was no other option; the cause for taking up the arms was overwhelmingly there. There are times in the human history which clearly prove that the practice of the extreme form of non - violence is not practical. Rather than giving in to the forces of injustice, one has to resort to violence, if necessary. But, it should be done after all possible efforts are made to resolve the differences in a reasonable and peaceful manner. In the Gita, Lord Krishna has demonstrated a method of solving an extremely difficult problem, in the opinion of the author. We very rarely face the dilemma that Arjuna was facing. Most of us would hesitate to take up arms against our own kins. We all hope that the situation of Mahabharata is not faced by the humanity anywhere again. 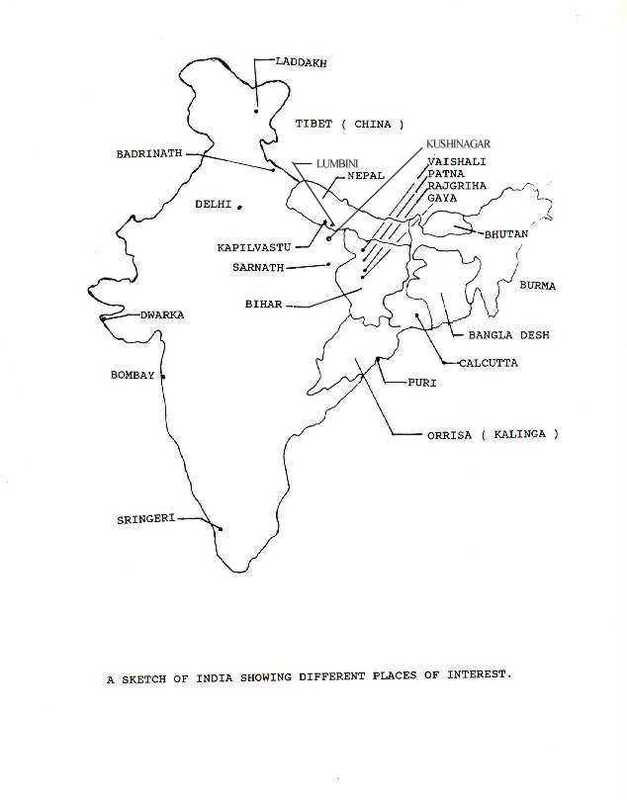 Bihar was the cradle of the Indian Civilization. Guru Nanak visited Patna (Pataliputra) during his travels. Guru Teg Bahadur was on his way to Assam when his son, Guru Gobind Singh, was born at Patna. Guru Gobind Singh, spent the early part of his childhood here and then went to Anandpur from Patna. 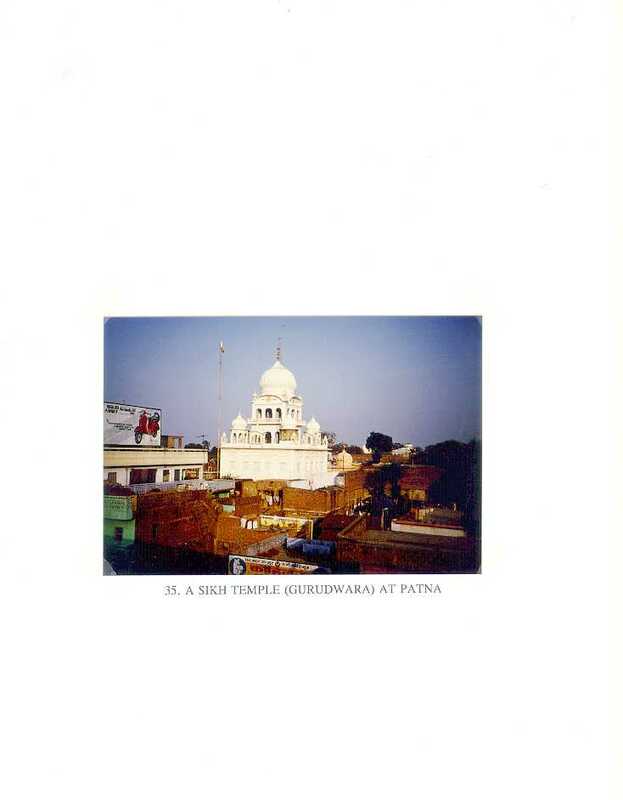 Therefore, Patna or Patna Saheb as it is called by some, is a place of pilgrimage for the Sikhs where there is a very impressive temple built by Rana Ranjit Singh in the last century. 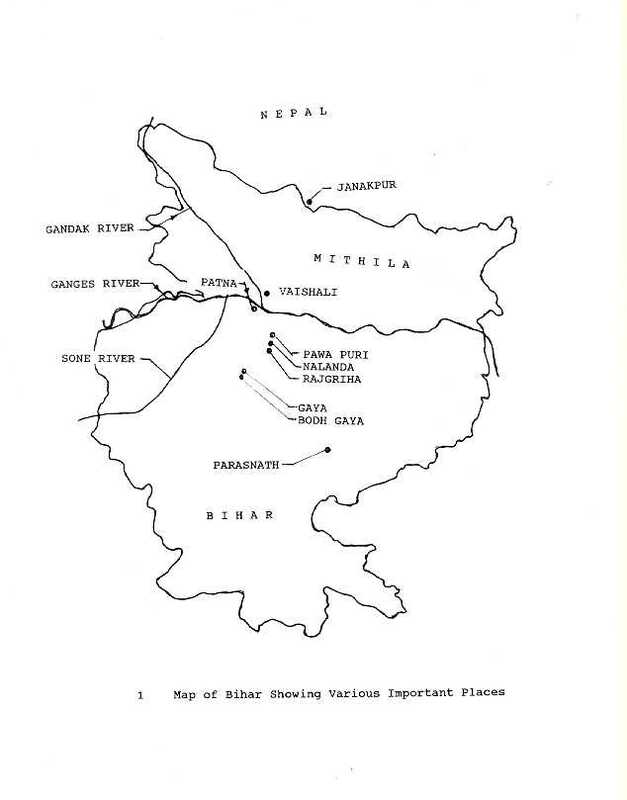 After the partition of India in 1947, many Sikhs came to Patna. Sikhism is an important religion taught in the schools and universities of Bihar. Whether or not all of the people in Bihar are Sikhs it does not matter, the fact is that they take special pride in this religion. We have seen that Bihar has witnessed the evolution and peaks of all the Eastern Religions. If we look at their philosophies, they all consider the worldly life as a mere sojourn of a pilgrim who has to traverse the path from darkness to light. Some believe in the existence of God and the others do not. However, irrespective of such beliefs, the paths to be followed in this life recommended for the human beings, in all cases, are the same; based on same or similar values. The goals are also almost the same, whether it is attaining nirvana or merging with God. It is quite surprising indeed. In fact, Swami Dayananda, whose followers are called Arya Samajees, said that the truth exists, but to know what is the truth - it must be accepted as the truth, independent of place, culture, race and religion. If it meets these criteria then only it can be called `the truth'. The examples of great souls like King Janaka, Devi Sita, Lord Buddha, Lord Mahavira, and Guru Gobind Singh will long be remembered in the human history as positive contributors towards peace and that of King Ashoka, whose concepts of sending the Buddhist monks to spread the message of peace, which can also be called as the First Peace Mission of that scale, is also no less contribution for the humanity. His concern for humans as well as lower creatures by establishing medical care for them is unparallel in the human history. The same concepts, evolved in this state through the rise and fall of different religions, were practised by the Dalai Lama in the twentieth century and the world has recognized his greatness by awarding him with the Nobel Peace Award. Mahatma Gandhi, having been convinced of the non violence concept, used it for the first time after returning to India in this state at Champaran, to seek justice for the indigo farmers. Sage Patanjali's Yoga is being widely used by the individuals to seek peace and tranquillity, not only in India but all over the world. He lived in the Pataliputra during the second century B. C. .
Bihar has been the cultural center of India for times much greater than any other states in the country. The languages such as Sanskrit, Pali, and Prakrit developed here. To understand how these ancient languages still have a role to play in our daily lives, let us take the Fig. 3. If we imagine that there are only two concentric shells in this figure and consider the Sanskrit as the core instead of the Atman. If we also imagine our regional languages, one at a time, as the outer shell then we can see that these languages are modifications from Sanskrit which plays the subtle role even to-day. Just like the Atman, it is Sukshma ( Subtle ), but always there and acts as the unifier or a binding force for the country. Different languages have developed in the past mainly due to, ( a ) lack of mobility of the people due to the poor communication facilities, and ( b ) the existence of smaller kingdoms within the country. In this day and age, one needs bigger nations which are, as far as possible, homogeneous in nature. Otherwise there will be a tendency to split along the linguistic lines as has happened in the Soviet Union or Yugoslavia. People cannot be held together by force or any other artificial means. Even the Sinhalese language used in Sri Lanka is a derivative of Prakrit. To have better standard of living, a country has to have order in the society first; secondly, the resources, both human and material, must also be there. These two criteria require the formation of a nation, not a split up country. Bihar has been in the past blessed by the presence of the great Souls, and that is why even to-day, Mumukshu ( Seekers of Truth ) come to visit different shrines. This land has an unique history.